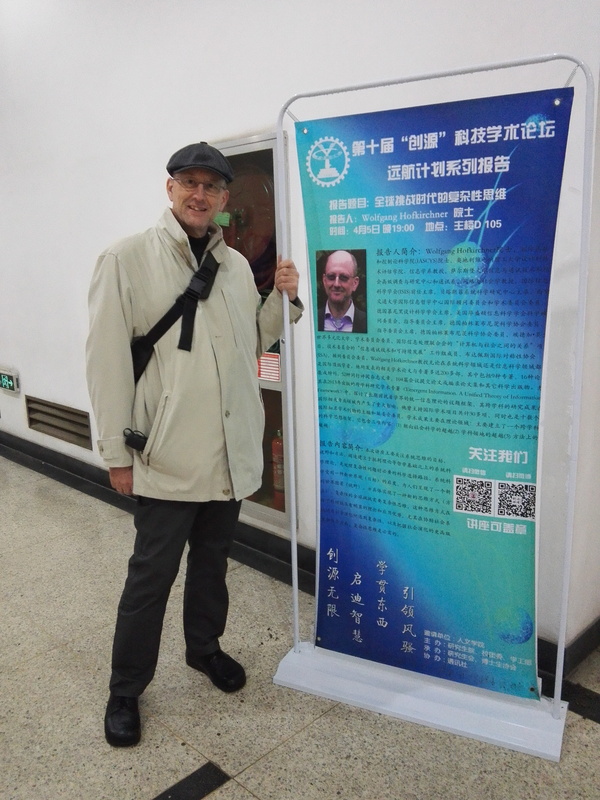 When invited to Xi’an Jiaotong University in China, Wolfgang Hofkirchner gave on 5 April 2016 before the students forum a lecture on the importance of systems theory. This lecture about aims, scope, and tools of systems thinking contended that systems theory is the scientific approach of choice when facing complex problems. Global challenges are complex and need complexity thinking, which is best at trans-disciplinarity. Systems sciences are inspired by a new world-view (aims), present a new picture of the world (scope) and instantiate a new way of thinking (tools). Complexity thinking is what is needed to help social systems catch up with the complexity reached by social evolution and master the next step in social evolution.